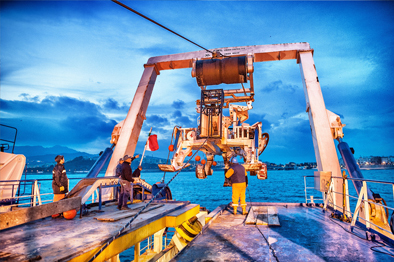 MISSION: telecom cable laying and associated trenching operations, telecom cable maintenance and ROV support. Teliri is a cable ship for the laying and repair of under water cables. Electric generation is by 2 Wartsila WN 16V25 3,680 kW + 1 Wartsila WN 12V25 2,768 kW feeding: 2 LIPS steerable thrusters with fixed pitch propeller 2,200 kW each, 1 LIPS steerable retractable thruster with fixed pitch propeller in nozzle 2,200 kW, 2 bow LIPS tunnel CP propeller thrusters 450 kW each, laying machines and vessel general services. Teliri is equipped with a Dynamic Positioning System Kongsberg SIMRAD ADP 702 thanks to which the ship can navigate automatically over a pre-established laying route. 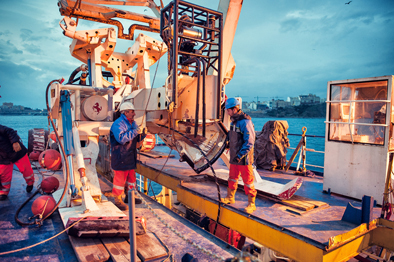 Accommodation up to 68 crew, technicals and contractor personnel. 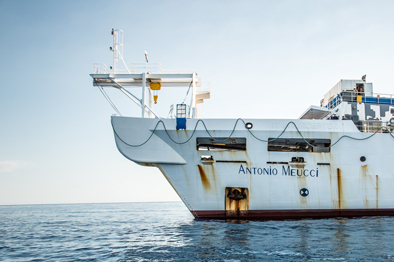 The CS “ANTONIO MEUCCI” incorporates a 6300 KW main propulsion system, supplemented with two thrusters that provide effective and economical DP station‐keeping abilities under severe weather and sea conditions. The vessel has three cable tanks capable of carrying 2600 tons of cable. 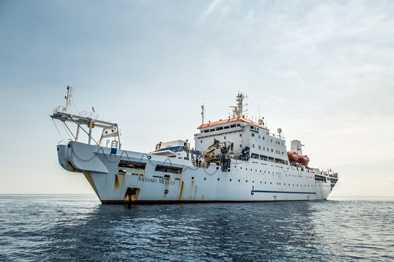 The vessel carries a full suite of fiber optic repair equipment and kits. The vessel is designed to handle both festoon and repeated cable systems. 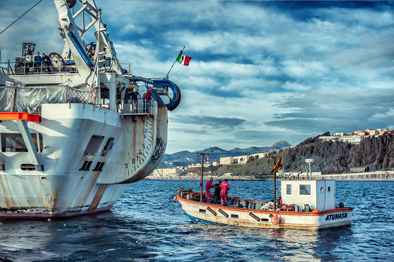 Being a traditional purpose‐designed cable ship, the “ANTONIO MEUCCI” conducts cable repairs over the bow with the use of two 3m‐cable drum engines. 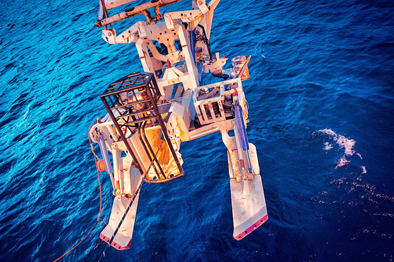 Cable lays are conducted over the stern with a 12‐wheel pair linear cable engine. For all cable storage and laying operations, the bending radius of the fiber optic cable is respected. 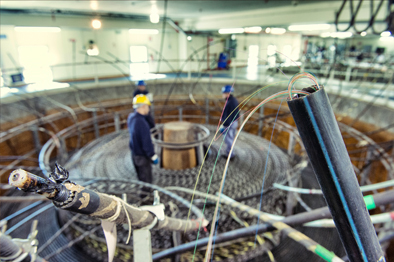 The tank cones, bow and stern sheaves and the cable drums have diameters equal or greater than 3 m.
MISSION: storage of spare plant for telecommunication submarine cable systems included in the MECMA agreement, training center and Elettra Tlc spa base port. The Depot, situated in Catania port, is strategic in performing marine activities in the Mediterranean Sea: one berthing point 90 m length and 7 m water depth at the root of the “Molo di Mezzogiorno”; about 4.000 m2 of open space available; a warehouse over three floors, each 2.700 m3, is used as customs depot, according to EEC regulations. 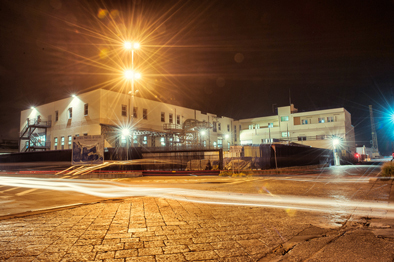 The ground floor includes: warehouse for the storage of repeaters, kits, equalizers and testing room. 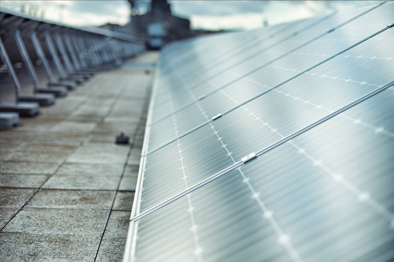 The first floor includes:	10 tanks with a capacity of more than 5,000 m3. 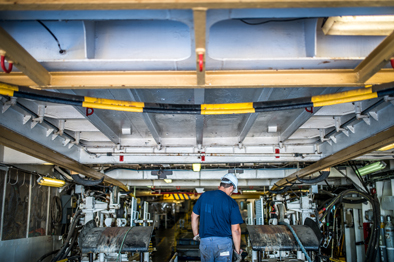 The second floor includes:	two fixed 6 WP linear Cable Engines for moving cables to/from ships and to/from cable tanks, two portable 2 WP LCE ROV and Plough are stored within depot area for housing and maintenance when not on board Elettra’s ships. 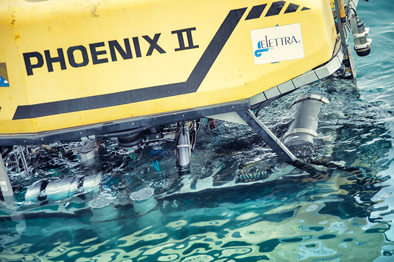 The Phoenix II Remotely Operated Vehicle (ROV) is a reliable maintenance system, capable of post-lay inspection, burial cable, cutting and retrieval and other required underwater manipulation tasks up to 2,000 m w.d. 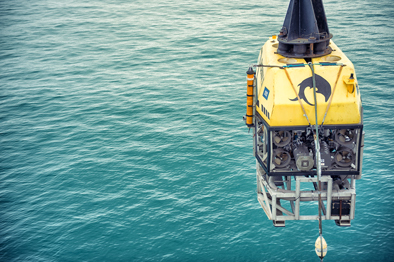 The system consists of 125 horsepower ROV, steel armoured umbilical cable, topside support systems (including crane handling system, hydraulic power unit, diesel electric generator, navigation system, Marisat Communications link and operations and maintenance vans). 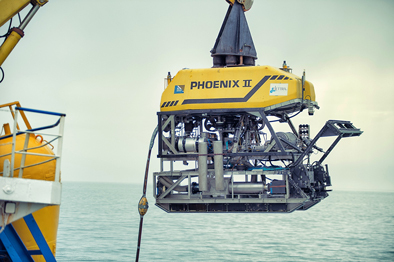 Phoenix II is outfitted with a state-of-the-art Innovatum Ultra cable location and tracking system to enable the ROV to locate and track cable during PLIB and cable maintenance activities. The Ultra system employs four combination gradiometers and triaxal magnetometer sensors with HP 382 computer, high resolution graphics, and data storage. The Plough System is a well proven, high quality burial plough, manufactured by Soil Machine Dynamics Ltd. 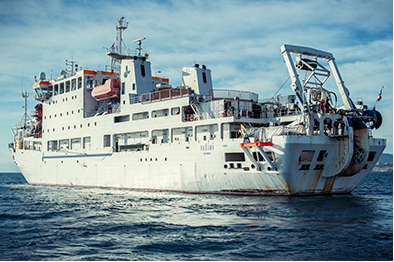 It is operated and maintained by Elettra Tlc spa and normally is supported by one of the Elettra’s cableships (C/S Teliri or Certamen). Specification Burial system: minimum pull, passive blade temporarily lifting a soil wedge for trenchless burial with minimum soil disturbance and thus best cable protection. 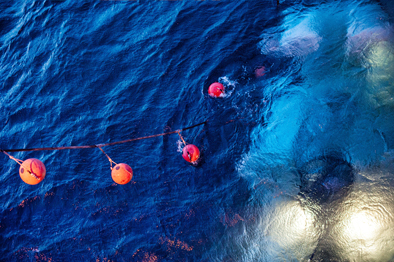 Operation: pulled by tow rope from surface vessel. Burial depth: maximum possible cutting depth to underside of cable 1.500 mm in favourable conditions. Cable/repeater sizeCables 17 - 150 mm dia. Repeaters up to 380 mm dia. Cable bend radius1.5 m minimum along the cable path during normal ploughing. DATA PROTECTION POLICY of Elettra Tlc S.p.A. This notice is provided in accordance with articles 13 and 14 of EU Regulation 2016/679 ("GDPR") to those who have access to the website www.elettratlc.it. This notice describes how to manage the website, with reference to the processing of personal data of users, as, following its consultation and / or browsing, data relating to identified or identifiable persons may be processed. Personal data are processed with automated tools for the time strictly necessary to achieve the purposes for which they were collected and in any case, when the browser is closed, only anonymous information will be kept and processed. Limited to the Curriculum Vitae received as spontaneous applications, personal data will be kept for two years from the time of receipt to consider the candidacies in relation to the requested profiles. he processing connected to the web services of this website take place at Pixel Lab soc.coop. by authorized personnel, while the server is in the data centers of MC-link S.p.A. (with registered office in Via Carlo Perrier, 00157- Rome). •	the operating system used by the surfer (intended as the person who accesses to the website). The browsing data referred to above are used for the sole purpose of obtaining anonymous statistical information on the use of the website and to check its correct functioning and are deleted immediately after processing. The data could be used to ascertain liability in case of hypothetical cybercrimes against the website. The mailing, for any reason, of email messages indicated on this website involves the subsequent acquisition of the sender's address, necessary to reply to email communications, as well as any other data entered in the email. It is understood that if, for any reason, the communications sent by the user / interested party should be superfluous or unnecessary compared to the processing that Elettra carries out / intends to perform for its customers, Elettra reserves the right to immediately delete the data (think of the unsolicited sending of medical certification for a channel like the email address info@elettratlc.it) or in any case to process the data so as not to create organizational and legal repercussions that are considered to be in contrast with the management system of the personal data in force in Elettra. Specific Notices for data protection (articles 13 and 14 of the GDPR) where necessary, will be prepared and will be displayed in the individual sections of the website that may contain requests for personal data and not related to this notice. In the case of spontaneous submissions, via Curriculum Vitae sent to Elettra Tlc S.p.A. (for example through info@elettratlc.it), we point out that we will keep your Curriculum Vitae ("CV") for two years from the day of receipt, after two years, we decide, at our discretion, whether to simply cancel the CV or contact you (at the addresses you have made available in the CV) to ask you to send an updated copy of the latter. Later, if Elettra Tlc S.p.A. should follow a selection process, will be re-proposed a specific notice and collected your consent, if necessary. The surfer (also in his capacity as data processing person) acknowledges that, both due to technical limitations and to the fact that the company maintains back-up of its data, some types of information may continue to persist in the systems even after the cancellation (for a variable period of time and in any case correlated exclusively with the back-up procedures and with the disaster recovery plan). Whoever is in the position of interested party, has the right, at any time, to exercise the rights referred to in Articles 15-22 of the GDPR and, in particular, to obtain from the data controller the confirmation that a processing of his/her personal data is or is not underway and in this case, he/she has the right to access them. Furthermore, he / she has the right to ask the data controller to rectify or delete personal data or limit the processing that concerns them or to oppose their processing, in addition to the right to data portability. He/she also has the right to lodge a complaint with the Control Authority (in Italy this is the Guarantor for the protection of personal data). To exercise your rights or for any information regarding the protection of your personal data, you can contact Elettra Tlc S.p.A. with registered office in Via Cristoforo Colombo, 163 (00147 Rome), data controller pursuant to articles 4, number 7, and 24 of EU Regulation 2016/679, writing to the office or sending an email to privacy@elettratlc.it.